Alright, so when Homemade 6 Bean Soup was released at CHA, I was pretty excited about it. I am a quilter and "sew" I knew this would be a fabulous line and I was right!! It is packed with fantastic patterns on their papers, the buttons are fantastic and the fun little touches make this line great! -Super cute buttons that just make you want to hoard them. -LOVE LOVE LOVE the 6x6 patterned paper pad. As a card maker it is essential! -I would like the cardstock stickers to be stickier. It is not a deal breaker by any means, but it would be nice to have a bit more tack to them. What do you think? Is this "sew" you? Or not so much? Let us know!! Very cute! I will have to check this line out! Love the layout and the patterns and colors on those papers!!! The cards are super cute too! Love this line! 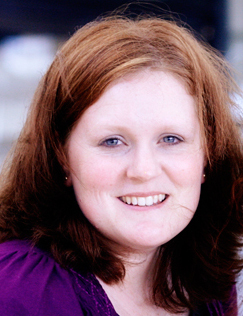 That spool paper is adorable- your projects are awesome too, Ashley! I love all Jillibean 'sewwww' much and this one included! What a gorgeous LO and how precious with those little feet! Inspired now! What a great review and product. Right onto my wish list. 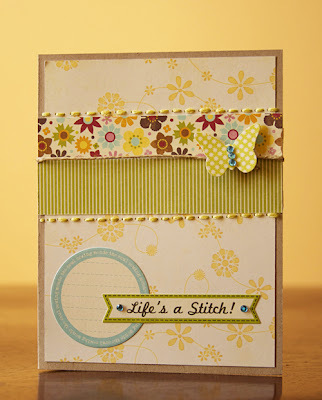 LOVE this line and I love the cards and layout shown..lovely! I love the quilt look to this line. And your projects are fantastic. Wow, gorgeous LO and cards! 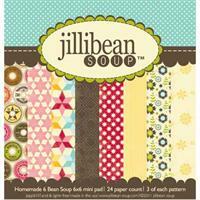 And as far as Jillibean Soup stuff - I haven't met anything from them I didn't like! Another terrific line by Jill! Your projects showcase the papers beautifully. OH Yes i do love this line from jillibean. 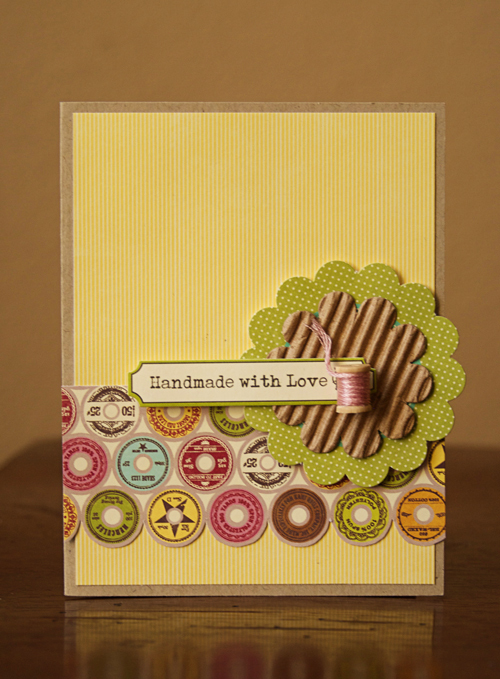 love the wooden spools paper the most! love love love it! I have to look in the shop for these papers. Nice and colourful.